Mina Murray once lived an adventurous life, but after a tragedy in the forests of Transylvania, she left it all behind. Now she has settled into a quiet routine as a schoolteacher in London, engaged to the respectable solicitor Jonathan Harker, attempting to fit into the stuffy upper class London society to which he belongs. Her dark past comes careening into her present when Jonathan is abducted by a group of vampires from a society ball. Determined to rescue him, she teams up with her former paramour Abraham Van Helsing and his colleague, Scotland Yard Inspector John Seward. 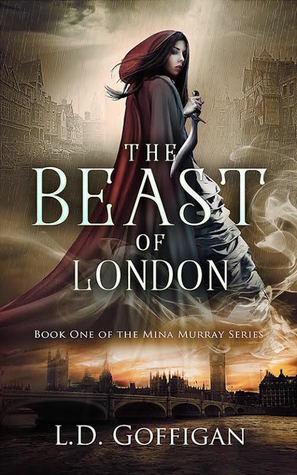 An electrifying retelling of a classic tale, THE BEAST OF LONDON is the first book of the Mina Murray series. If you love adventure, romance, and mystery with a paranormal twist, then pick up your copy today. This one sounds quite interesting. I might check it out at some point. This sounds fantastic. Thanks for the introduction.